drivingandlife: STEPHEN SEES RED - BUT HE'S HAPPY TO BE HUNG! 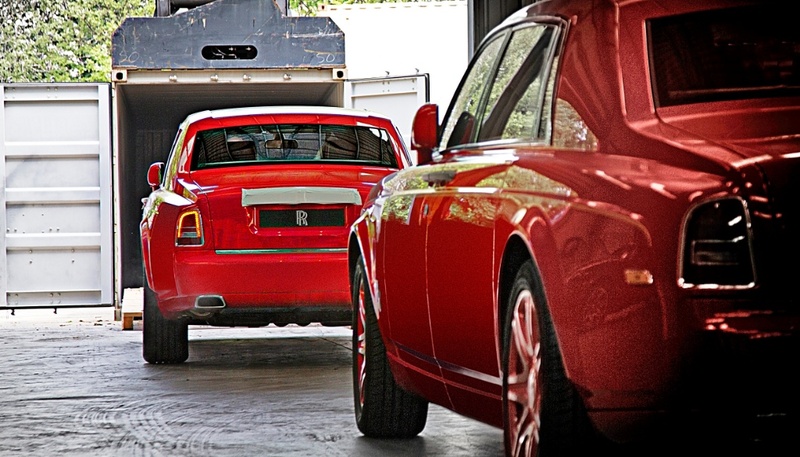 A specific shade of red is the trademark of one of the most flamboyant billionaires in Hong Kong, and just to prove it, he’s ordered 30 bespoke Rolls-Royce Phantoms all painted ‘Stephen Red’. 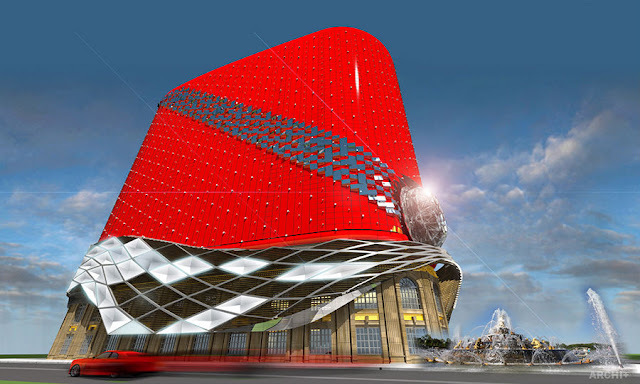 Stephen Hung, promoter of the new Louis 13th hotel to be opened in Macau next year, is famous for his red clothes, red hair and now, his red hotel. Hung’s 30 Phantoms have been loaded for their sea voyage to Macau, where they will provide transport for Hung’s super-rich clientele. On the basis of ‘Build It and They Will Come’ Hung says you can’t offer exclusive amenities and experiences to the super rich unless you are super rich yourself. He doesn't lack confidence. However, it may be a gamble too big even for the Hong Kong dealmaker. In competition with Las Vegas, Macau has the reputation of being a gambling backwater. After investing huge sums in casinos in the former Portuguese colony, many casino operators veered close to bankruptcy. So Hung’s bright red hotel is perhaps a chance for the new Chinese ‘special territory’, Macau, to get back in the dollar-churning limelight. Some observers say Macau’s potential to bounce back is very good, and its gambling revenue could top USD$77 billion by the end of 2017! Especially when the minimum wager at hotels like The 13th hotel is USD$650! 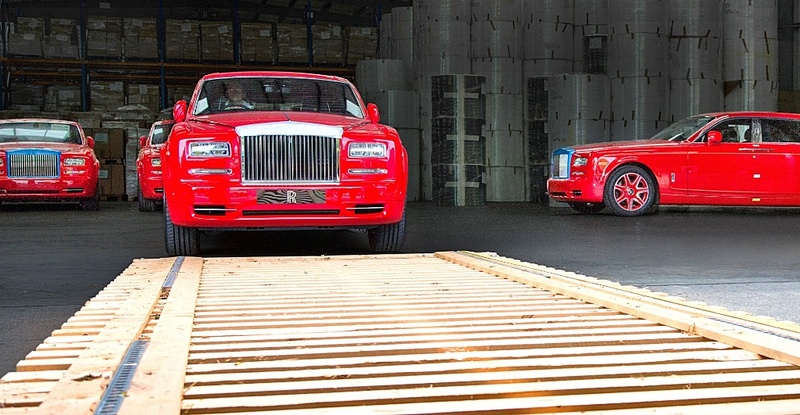 Apparently Stephen Hung does not gamble, but with his new hotel, and its 30 Rolls-Royce Phantoms, he better hope red is the lucky color. Personally, I think it's a little tacky.